It’s not every day that two Philly fighters opt to face each other in the ring. 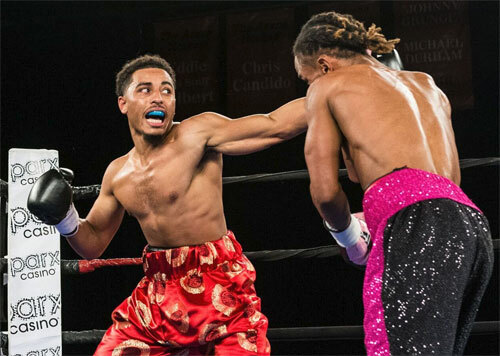 Crosstown rivalries and bouts pitting local talent against each other were once a rite of passage for rising boxers in Philadelphia. This ritual began way back at the beginning and steadily continued through every decade through the 1980s. After that however, Philly vs. Philly fights began to seriously thin out, and these days, rarely ever happen. On Friday night, local boxing fans will get a taste of one of these uncommon treats when Philadelphians Anthony Burgin (Kensington), 10-2, 2 KOs, and Avery Sparrow (North Philly), 5-1, 3 KOs, face off in the 8-round main event at the 2300 Arena in South Philly. The fight tops an 11-bout card promoted by Peltz Boxing, BAM Boxing, Joe Hand Promotions, and Raging Babe. The show, named “Proving Grounds” by the promoters, is stacked with local young talent, mostly against out of town competition, but the feature bout is one of those good old fashioned Philly vs. Philly matchups. The Philly history books are loaded with crosstown pairings, and in fact, our City’s great boxing legacy was pretty much built on such contests. We’ve had classic pairings like Benny Bass vs. Harry Blitman in the 1920s, Tommy Loughran vs. Al Ettore in the 1930s, Bob Montgomery vs. Welsey Mouzon in the 1940s, Joey Giardello vs. Gil Turner in the 1950s, Gypsy Joe Harris vs. Kitten Hayward in the 1960s, Bennie Briscoe vs. Cyclone Hart in the 1970s, and Jeff Chandler vs. Johnny Carter in the 1980s. These fights were the cream of the crop, and I’m not suggesting that Burgin-Sparrow is of the same ilk. However, the fights listed are only samples of countless collisions between Philly fighters that happened on every level of the food chain. In between these fights, and trickling on afterward, our boxers – prelim fighters, prospects, journeymen, contenders and even champions - fought to prove they were the best in their gym, the best of their neighborhood, and the best in the entire City of Philadelphia. Graduating from these battles readied our fighters for future challenges against the rest of the world. Today, the common state of mind among most Philly fighters and their handlers is that local fighters should not face each other, and that such contests tend to leave one fighter behind, robbing them of possible opportunities in the future. I understand the philosophy and can appreciate the sentiment. However, some of the best nights in Philly boxing history were ones when two of our local heroes went at it before an engaged Philadelphia crowd. It is also a fallacy that a loss to a fellow Philadelphian erases the chance for the loser of the fight to effectively continue their career. One perfect example of this is the 2010 all-Philly fight between Derek Ennis and Gabriel Rosado. The two junior middleweights clashed at the 2300 Area (then called the South Philly Arena) with the USBA title at stake. It was a great night of local boxing. The venue was filled with large contingents of fans for each fighter, and together these two factions formed a boisterous crowd, dizzy with investment in the outcome of the fight. The fight itself was an excellent, see-sawing contest that ended with Ennis winning a majority decision over twelve rounds. I’ll never forget Rosado’s disappointment after the fight. The loss hurt, but he was also worried that his career prospects had been seriously damaged by his fifth defeat. In the other dressing room, Ennis was elated. His victory meant that he had earned a spot in the IBF world rankings. At a glance, it appeared that Ennis had indeed left Rosado with a diminished future. However, the reality was something quite different. Eight months later, Ennis lost his next fight and went just 2-3 in his post-Rosado career. His last fight was in 2014. Rosado, on the other hand, went back to the grind, rebuilt, and over the next two years, won seven consecutive fights. The streak put him at the number one spot in the IBF rankings at 154. In 2013, Rosado fought twice for a world middleweight championship and has fought nothing but high-profile TV bouts ever since. 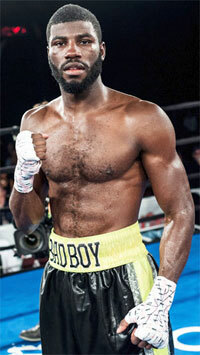 His earnings and exposure far exceeded Ennis’, as well as just about every other Philly fighters during that period. The Ennis-Rosado fight was a key night for both fighters. 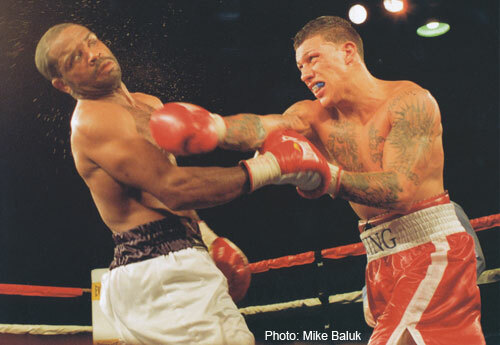 For Rosado, the loser of the bout, it was the launching pad to the sweet-spot of his career. For Ennis, the winner, it was undoubtedly the best night of his career. He won the USBA belt and displayed his tremendous skills before his hometown fans. 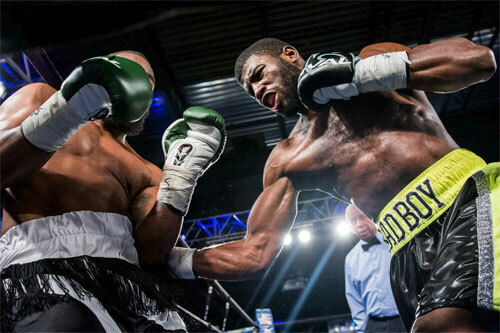 The fight was also named the “2010 Philly Fight of the Year” at the annual Briscoe Awards. For local boxing fans, it was a terrific fight and an unforgettable night. It also proved that the fight is just a moment in time. The fighters can be defined by the moment or they can move past it. Whether the outcome is positive or negative, a fighter’s career is not necessarily tied to any single event. Had Ennis and Rosado waited until later in their careers to face each other, the fight would have never happened. July 30, 2010 was the best night, maybe the only night, for them to fight. It was a moment in time. Ennis made the best of that moment, but Rosado grew from the temporary setback and made the best of the experience. Philadelphia became a boxing capital because its boxers had the reputation of being the toughest, most well-schooled, and best in the game. Most of them earned their reputations by honing their skills against each other. Friday night, two young warriors will face off to prove something to themselves and to the Philly fight fans. They will ignore the voices that say fighters from the same city should not meet in the ring. It will be a test for both and only one will come away with a victory. However, both can, and probably will, gain from the experience. Philly vs. Philly fights are as good as it gets in boxing. Anthony Burgin and Avery Sparrow have stepped up and agreed to fight each other. Let’s hope it inspires other locals to follow suit. 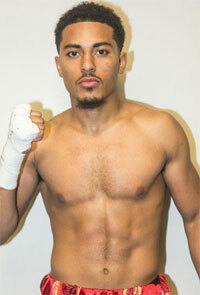 Other bouts on the card feature Fred Jenkins Jr., Isaiah Wise, Joseph Adorno, Victor Padilla, Marcel Rivers, and more. The doors of the 2300 Arena open at 6:00 PM, with the first bout set to begin at 7:30 PM.